Classic East Harriet two-bedroom condo with assigned parking. Newly refinished hardwood floors, tastefully painted top to bottom, and very nicely remodeled bath. One block from grocery & cafÃ©, and just four blocks to Lake Harriet. Directions: East or west on 50th to Bryant Ave, north to property. I was searching for a Property and found this listing (MLS #5016301). I would like to schedule a showing for 4525 Bryant Avenue S #1 Minneapolis, MN 55419. Thank you! I was searching for a Property and found this listing (MLS #5016301). Please send me more information regarding 4525 Bryant Avenue S #1 Minneapolis, MN 55419. Thank you! 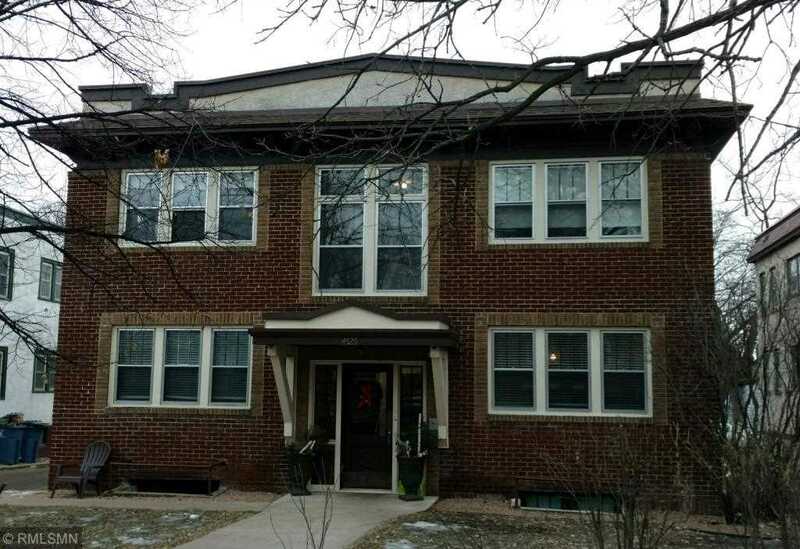 MLS® 5016301: This property at 4525 Bryant Avenue S #1, Minneapolis, MN 55419 is located in the East Harriet subdivision and is listed for $235,000. MLS® 5016301 has been on the market for 85 days.